All too often staff fail to take responsibility for their actions. It’s never their fault, someone else is always to blame. Often problems occur because someone did not think for themselves and did not ‘take ownership’ of the issue. Managers too can be just as guilty of the ‘blame’ game – poor results are blamed on the market, change is put off because ‘it’ll never work’. 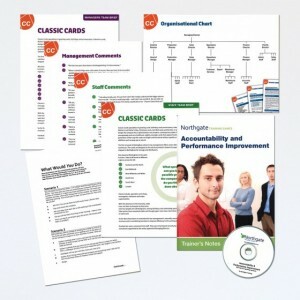 This activity exposes all these excuses and paves the way for greater accountability and performance improvement at work. Being reasonable and pro-active is fundamental to team effectiveness – and to the success of the organisation as a whole. Divide group into pairs of teams (3-4 people per team) and issue one with the ‘Staff’ Brief and the other with the 'Manager' Brief. After 20 minutes put the pairs together to share findings and knowledge and prepare presentations on the state of the organisation. After 30 minutes observe the presentations. Issues all relate to problems caused by lack of accountability and poor performance from individuals and management. Lead a debrief on the key issues that emerge. Have teams identified root causes – and suggested appropriate ways to solve the problems? Trainer’s Notes provide full guidance. 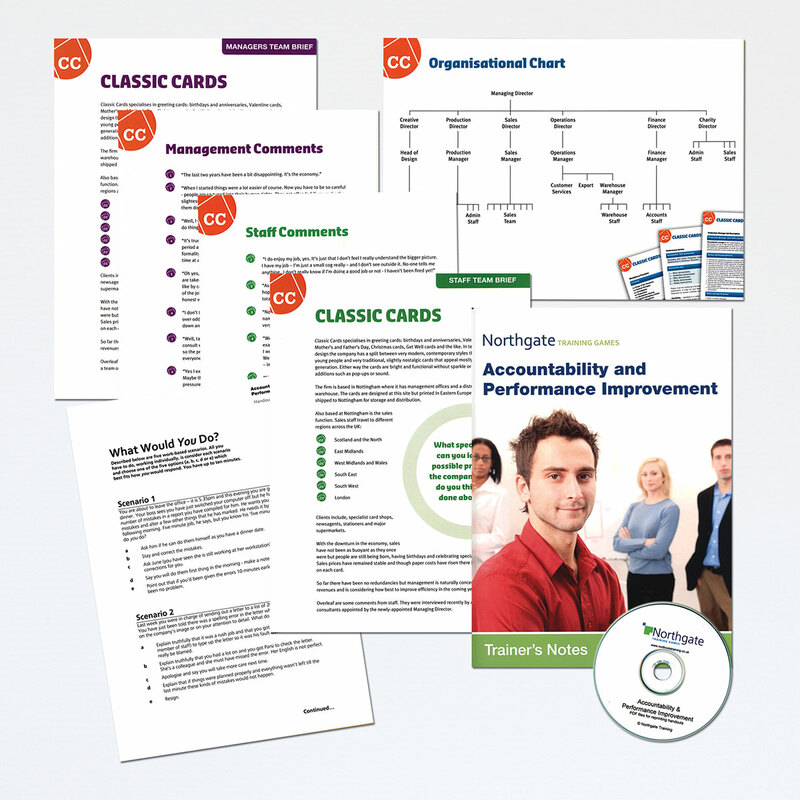 Additional handouts enable you to extend the learning and draw up individual Action Plans to improve overall accountability and performance back at work. Northgate's games are easy to use and they offer a wide range of titles. This activity worked very well. It helped my participants to practise the accountability concepts, reflect on their own situations and to be more aware about the importance of accountability in their workplace. Every activity we have purchased from Northgate has been very effective and well received by delegates. 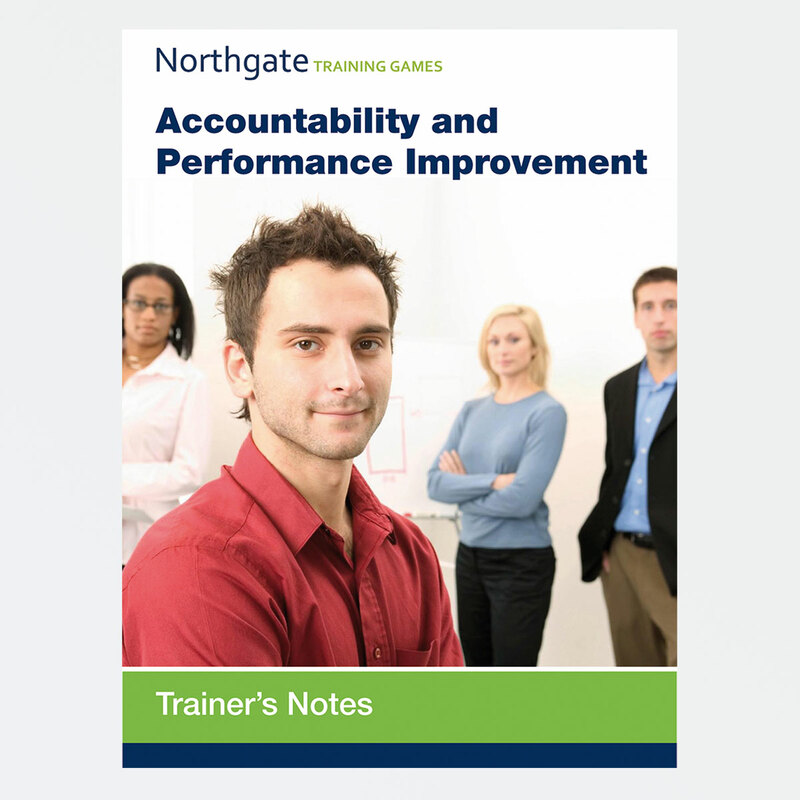 Recently we incorporated Accountability and Performance Improvement into our in-house training course for team leaders and it worked really well.